Recognising you have a great existing opportunity but lacking the time, focus and available budget to exploit it means missed revenue generation. This case study looks at how Wildfire Internet responded to a request on LinkedIn for free marketing in exchange for a commission based on increased sales. It was fair to say not many companies were willing to put themselves forward for this work, as near all agencies prefer to be paid fees rather than put their necks on the block. Wildfire Internet examined the opportunity and engaged with Anders to increase their existing sales from £725,000 for the selected product ranges. The result was that after 12 months, their sales had doubled in value. We engaged with senior people at Anders to promptly agree a sensible commercial arrangement based on our pre-existing Risk Reward contract. 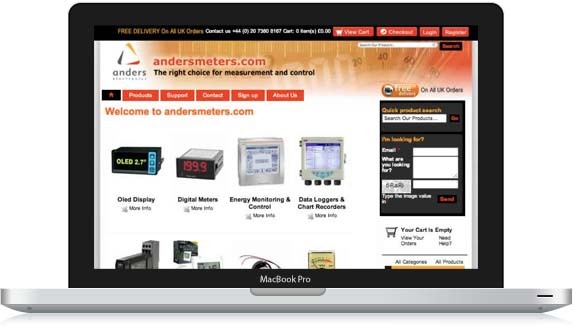 We replaced two of Anders existing websites with our superior ecommerce platform, providing the software licences for free and re-launched the product lines, the major one being the Fit PC. 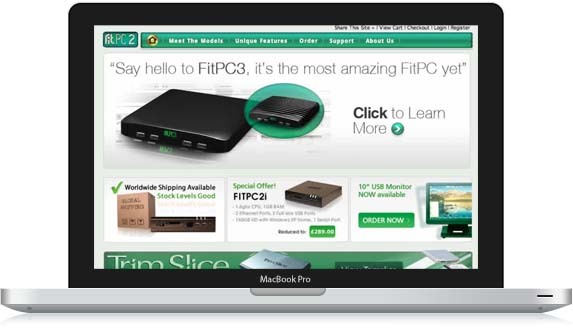 Two sites were launched within months of each other and an internet marketing campaign commenced immediately. Advice was given on pricing and conversion optimisation via comprehensive analysis. We provided responsive support for the site in terms of content, promotions and price changes, plus the addition of new products and stocking alerts. We paid very close attention to the marketing and running of the sites and held formal reviews on a monthly basis. This included gathering a range of statistics and providing a balanced scorecard, making recommendations to improve performance and implementing required changes promptly. The risk for Anders was totally mitigated by the exceptional commercial arrangement we agreed. The reward has been over £1,000,000 of increased revenues over baseline, benefiting from the exceptional search engine friendliness of our platform and internet marketing skills. In summary, engaging with experts to turn unrealised sales opportunities into 7 figure revenues is the right way to go.